Turn your team into a unified foot percussion orchestra! 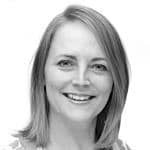 The unique spectacle of gum boot dancing is now brought to you as a fantastic team building activity or conference ice breaker or energiser challenge. This fascinating percussive dance originates from Africa. It will have everyone on their feet, into a pair of gum boots (wellies) and learning to perform as a unified foot percussion orchestra. For more information, ideas or a no-obligation quote, please Contact Us now. Press the play button on the video below to see gumboot dancing in action. Gum boot dancing was conceived by miners in South Africa as an alternative to drumming. Using all manner of stamping and slapping of the boots with the hand, each sound produced would represent a unique code or signal to other miners a short distance away in the dark conditions underground. Our gum boot dancing experts lead your group first into a quick body warm up before beginning to teach you how to master the different steps, slaps and stomps needed to create a fast-paced and energetic routine. It’s a whirlwind session, which brings all the energy and rhythms of South Africa to your location. Watching your colleagues slap the wrong leg, turn the opposite way or clap in a strange place at first will be hilarious. However, you will be amazed how quickly you all progress, as our instructors bring the group together to performance standard in no time at all. This activity works amazingly well as a short energiser or ice breaker, or as a longer team building session that includes learning about the history of its humble beginnings. 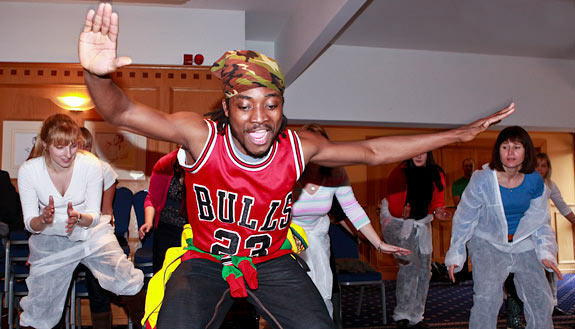 It is also one of the available activities within our longer Global X Factor and Tribal Rhythm events. We can provide wellington boots and overalls to complete the theme for your group. Alternatively, asking your delegates to provide their own wellington boots can cause a great deal of fascination and amusement. Many will make the false assumption that they will be doing something outside, and so they will never guess that they will be experiencing the delights of creating rhythms with wellington boots! Gum Boot Dancing makes a great add-on to outdoor team building activities too, although no-one will look at their wellington boots in the same way again! You can also contact us by phone or email. Full contact details are on our Contact Us page. 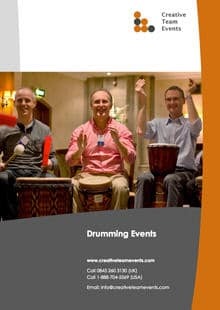 Download PDF brochures for our events.